I adore the Goddess Teat series and I can't wait to read Pawn! While I wasn't the biggest fan of the Goddess Test series, I'm quite excited about this one! I liked her writing style, just not the characters in the other one. This sounds like a really unique book, and I'm always looking for something different! This book sounds like it would be a good intense read!!!! thanks for the giveaway!!! I am a big fan of the Goddess series and I cannot wait to see the new world that Aimee has created. Such a beautiful cover, I hardly noticed the eye. The book sounds pretty cool. 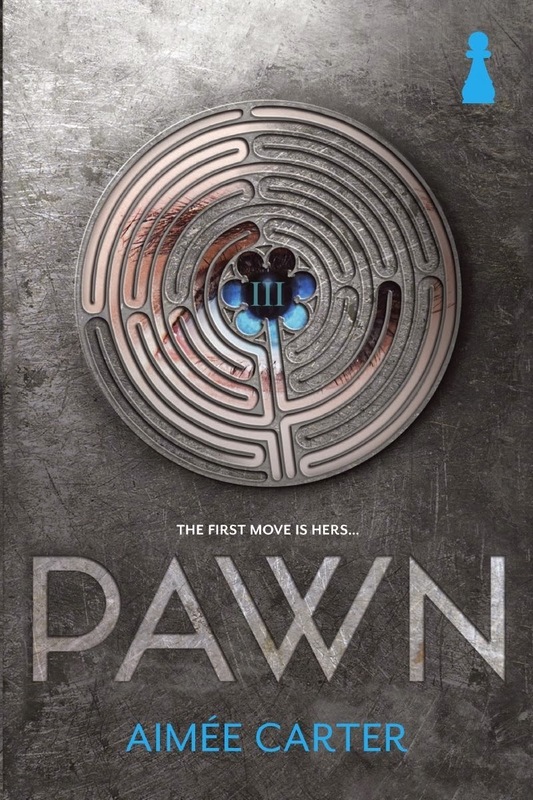 I can't wait to read Pawn. I love reading story about choices. For Kitty, it is the choice of living a privilege life and giving up her freedom and belief. I also love Aimee Carter's books. I'm a big fan of Aimée Carter and was so lucky to meet her (and Julie Kagawa & Katie McGarry) a couple months ago and snap a picture with them. Aimée Carter's new book PAWN sounds so different and unique. It definitely has caught my attention. I can't wait to read it! Thanks so much for this awesome giveaway!!! Fallon Vaughn (joefallon1@yahoo.com) - I love Dystopian books, i picked up the testing recently and loved it. I am always looking for a good dystopian book to read and review. I have been interested in this book for awhile andhope i win. Thanks for the Giveaway. 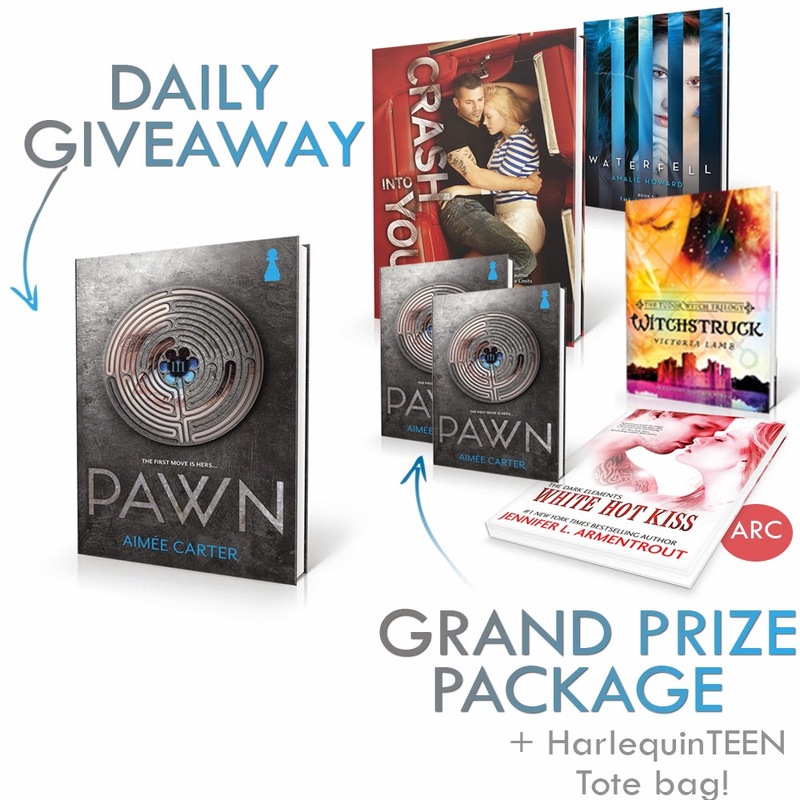 I love Dystopian books, so I'm super excited to read PAWN and see how Aimee Carter creates her own, unique world! Awesome give away. Sounds its going to be a really good book. Thanks for the giveaway. So excited to read this. I LOVE Aimee's books!! 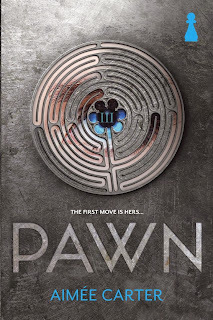 I am really excited to read Pawn because Aimee is an amazing author, and I have heard such great things about this book! I love the concept and idea behind the book too. Thanks for the giveaway! That synopsis sounds amazing! Can't wait for this! I'm currently reading an egalley from the publisher and this is one of the best books I've read recently. I'd love to have a print copy to reread and share with friends. I haven't read a really good dystopian book in a while. I'm looking forward to seeing Aimee's world. I love reading dystopian books! This is such a fascinating sounding book! I am always intrigued by people pretending to be others, so I hope to find out if Kitty decides to pretend to be Lila! Great interview! It's funny how we want our fictional characters to be happy, but without any conflict, there wouldn't be a story to tell. At least an interesting one. I know I'm really looking forward to Blackcoat #2!